How To Fix iPhone 6S After Dropped? We received an iPhone 6S, the customer said it is dropped and then it doesn't boot. Disassemble the iPhone with phone opening tools, and then put it connects to DC power supply, it shows big short circuit. After measure it, we found the PP_VCC_MAIN is short circuit. Many of dropped iPhones PP_VCC_MAIN filter capacitor will be short circuit. Remove the iPhone motherboard, and observe it under the microscope, we found the capacitance C5283_RF next to iPhone WI-FI chip turned gray, it differs greatly from the color of the capacitor next to it. This capacitance is the filter capacitor of PP_VCC_MAIN. Now we directly remove this capacitor, and measure it again with multimeter, the resistance value is back to normal. Connect it to DC power supply again, and boot it, now it shows normal, the iPhone 6s can be turned on. The repairs end! Last week, We received an iPhone 7, the customer said the iPhone 7 won't turn on after water damaged. After we received it, we began to test it, but no matter how many times you press the iPhone power button, it still does not respond, the iPhone has been kept black screen. After disassemble the iPhone by JM-9102 Disassemble Tools, we can see the mist in the iPhone, so we need to handle the mist first. After it is done, measure the iPhone with DC power supply, apply some power on iPhone, and then press the Power-on button to check the boot current, it shows large current. According to the current situation, this phenomenon should be the load of the power supply is short circuit. Now, we immediately use a method of feeling temperature to check, we found the lower part of the iPhone was hot. To narrow the scope, we can use the method of solder rosin to check, we found that one of the reserve capacitors in the light boost circuit was shorted. With the help of YH898D hot air gun and Titanium Alloy Tweezers, we remove this capacitor, and then test it again, the current returns to normal. However, the iPhone screen still no lights, sometimes we can see a little faint light. Using Fluke 15B+ Digital Multimeter to measure the voltage of lighting, it instantly shows 11V, then immediately turns 2.4V, sometimes turns 5V, and the voltage is very unstable. At this time, we know there's a problem with the lighting booster circuit. Observing the iPhone motherboard under a VGA Camera 7-45X Trinocular Stereo Microscope, we found a glass-diode crack in the booster circuit. May be the user in the iPhone after the water, power on it and test, because of the continuously working, the diode is burned. After replacing the new diode, the iPhone lights are back to normal, which means the iPhone touch screen can be display now! 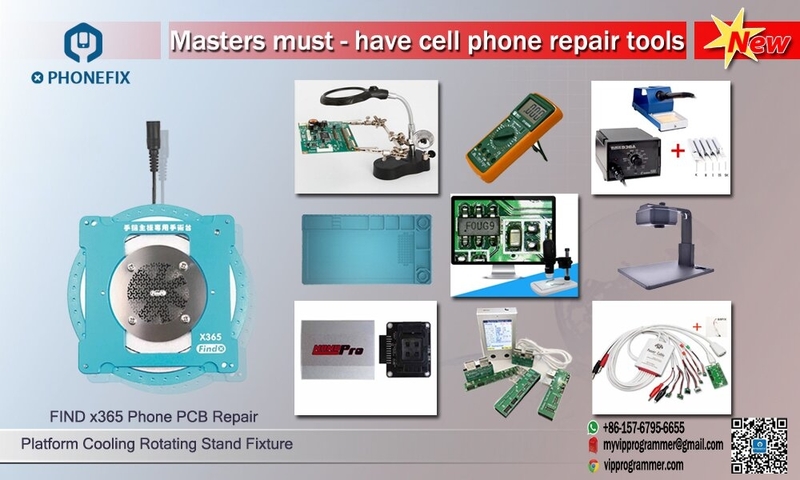 Summary: The repairing of mobile phones is not only a theory, but also a variety of methods, such as Temperature-sensing method, Solder rosin method, and Microscope observation method, etc. This article is about how to save your wet iPhone 7 or 7 plus from water damaged. Since liquid damage isn't covered by the warranty, it's important to know what to do if you drop your iPhone 7 or 7 Plus in the toilet or another body of water. Step 1: Remove your iPhone from the water, unplug any cables or dongles, and wipe it off with a cloth. Apple suggests a soft, lint-free cloth. But if the thing is dust resistant, it has to be lint resistant so I suggest grabbing the nearest towel if your collection of soft, lint-free clothes isn't handy. Step 2: Remove water from the Lightning connector by tapping the phone gently against your hand with the Lightning connector facing down. Step 3: Let it air dry. Place the iPhone in a dry spot with some airflow -- near an open window, perhaps. Better yet, put it in front of a fan so that cool air is blowing directly into the Lightning connector. A fan is okay to aid the drying process but do not use a can of compressed air or an external heat source. Apple also recommends against using a cotton swab or paper towel or inserting any foreign object into the Lightning connector. Step 4: Wait at least 5 hours before attempting to charge it. Apple says to wait at least 5 hours before plugging anything into the Lightning connector. Apple also suggests waiting until the phone is completely dry before opening the SIM tray. Now the problem has been solved. How To Fix iPhone 6 Plus Display Failed After Booting? If your iPhone 6 Plus sidplay nothing after booting, what to do to fix it? In this article, we are going the share the methods to fix the problem. The measured value is completely normal, there is no current burnt traces on the iPhone backlight chip and display power supply IC, so we can start to work on its display part. Taking off the display IC under good protection, and work on solder pad with low temperature solder, do not rush to replace the new IC, the bottom resistance should be measured before that. The result shows that the D3 pin I2C bus CPU has no resistance to the clock signal of the display power, and the C3 display has no resistance to the power IC signal. According to these two results, we can make sure that the lock screw is wrongly installed to cause the motherboard layer being broken. Open the 6P bottom screws column diagram,we find that C3 go through left and right sides of the screw column, D3 only go through the left, After removing the 2 screw columns, we find both of them get traces of damage (you can remove the screw columns with solder paste, hot air gun with 300 degrees and gently push then down by solder iron, we find there is serious disconnection on the left. First, scraping a waste main board without broken wire and observe the wire construction. Select a smaller phone fix scraper tool, gentlely scrape and try not to damage the bottom wire since there are several layers in the iPhone 6 plus motherboard. you need to pay attention if there is black layer shown up for sraping the first layer, then you can add a bit of soldering paste on it, it will be clear to see the specific location of the wire under a microscope. We choose a similar sharp knife to throw off the location of the broken wire and find the thread. The left screw can find a resistance thread. We choose a sharp iron with professional jumpers to solder every wire carefully and try not to repair it next time. We can solder the jumper under the microscope, the screw column on both sides of the line have in common, the left one can not find the thread so we can use the right column to make jumpers, then we measure IC bottom pin resistance again. The resistance is normal, now solidifying with green oil and install display power supply to test. Finally, the screen light and display normally again, functions are tested perfectly. Water damage is a common problem to mobile phones. if suddenly your iPhone 6S touch screen is out of control, it behaves that sometimes it doesn't react when we touch it, sometimes it's a delayed reaction, and sometimes the Apps jumps randomly on the iPhone display screen. It's worth to mention that the iPhone display screen isn't cracked or anything. After replace the iPhone display touch connector socket, but the problems still exists. So, what else we can do? Keep reading the following page. ave to measure PN5V7_LCM_MESON_AVDDH, PP5V7_MESON_AVDDH and PP5V7_LCM_AVDDH, because they are shared by display screen and touch screen. So, we should we do? Usually, we just need to use multimeter to measure the diode data of part of pins of display and touch screen socket J4200. And measure the voltage of PP5V1_TOUCH_VDDH and PP1V8 after assembling display screen and turning on iPhone. The diode data is normally. Replace the new iPhone display screen, but it still has no response when touch it. As we know, the iPhone 6S has the 3D touch function, the abnormal 3D touch function can cause unresponsive touch screen. 3D touch function is connected to fingerprint socket. Thus we measure the diode data of fingerprint socket and we find the diode data of reset signal AP_TO_TOUCH_RESET_L is being a little small- just over 80, while the normal one should be about 400. After checking the iPhone bitmap on WUXINJI Dongle, we know the reset signal AP_TO_TOUCH_RESET_L is interlinked with display and touch screen socket. However, the diode data of AP_TO_TOUCH_RESET_CONN_L on J4200 is normal after tested. Keep measuring, we found the problem; there is a disconnection between the AP_TO_TOUCH_RESET_CONN_L on display touch socket and AP_TO_TOUCH_RESET_CONN_L on fingerprint socket. Use BGA remover gravers to remove the black adhesive tape on the edge of fingerprint socket, founding the FL4134 and C4134 and other components are corroded. Clean the corroded components and make up for what should be mended. The data tested again is normal by Fluke 15B+ Digital Multimeter. The last step is installing the iPhone, get into IOS to test, now the iPhone touch screen can be responded properly, and you’ve got control of the screen again! One day you got a second hand iPhone for less than half the market value, and you were really happy about your purchase. But then you try to operate it and you are asked for an Apple ID and password. Now follow these steps to unlock it. Step 1: Go to Menu> Applications> Crash. Your iPhone will restart. Step 2: Select language and country. Now select wifi settings. Step 3: Select the "i" option next to the relevant WiFi network. Scroll down and click the menu under "HTTP Proxy." Step 4: In the server, list 30 Emoji icons. Step 5: In the port area, list 15-30 random characters. Step 6: You will use this language multiple times and open the screen. Swipe repeatedly to unlock the LCD screen and click on the language option until you get to the home screen. When you have been able to unlock iCloud locked iPhone, you can go back and use iPhone normally. However, you should know that although this is a permanent solution, it is far from ideal. This is because each time you use the application, such as facing the time, or calling, you will have to perform iCloud activation to unlock it. If Your iPhone 6P WIFI and Bluetooth Button Greyed Out, How To Fix It? This article is about how to fix iPhone 6 Plus WIFIerror. If Your iPhone 6P WIFI and Bluetooth Button Greyed Out, and the WIFI function is unavailable, it's very uncomfortable. Moreover, after fix the iPhone WIFI trouble, and then the Bluetooth button not working, this means the Bluetooth function unavailable. Other functions on iPhone are normal, so, what's going on? The details are as follows. Carefully disassemble the iPhone 6 Plus, check iPhone motherboard under the Trinocular Stereo Microscope, we found the iPhone WIFI module IC was gone, and the solder pad missing 6 points. In order to fix this issue, we weld the jump wire and then apply some green UV oil on it. After WIFI IC installation, test iPhone WIFI function, it works properly now. Continue to test iPhone Bluetooth function, it still not working. Tear down iPhone WIFI module IC again, and then use multimeter to measure the diode date of solder pad, finding the diode data of tenth pin is OL, which is Bluetooth open signal BT_REG_ON. According WUXINJI Dongle, we know the BT_REG_ON is from the iPhone power iC, and through PCB board circuit to WIFI IC tenth pin, and then go to the PP3154_RF test point. Now we're trying to knock it out on the pad, and then weld the jump wire, not exactly through the hole, we directly open WLAN_REG_ON from ninth pin WIFI IC and use QUICK 861DW Hot Air Rework Station to weld the jump wire, the purpose is to borrow the WiFi open signal. After finish the above step, install the iPhone and get into IOS to test, now the WIFI and Bluetooth functions all works properly. No matter you open the WIFI and Bluetooth at the same time or separately, they all work perfectly. Because the diode data of PP3154_RF is OL, so we can't weld the jump wire from PP3254_RF. If need weld the jump wire on it, we need to remove the iPhone power IC, and then weld jump wire from the middle of power IC, it's too time-consuming. Why Your iPhone 6P WIFI And Bluetooth Button Greyed Out? If your iPhone 6 Plus WIFI button is greyed out, and the WIFI function is unavailable, how to fix it? Moreover, after fix the iPhone WIFI trouble, and then the Bluetooth button not working, this means the Bluetooth function unavailable. Other functions on iPhone are normal, so, what's going on? The details are as follows. Just like other iPhone models, if the iPhone shows leakage when it was supplied power, it's usually because BATT_VCC (battery voltage) or VCC_MAIN (main power supply) these two circuit lines short circuit, the other case is that when supply power on it, but it is not leakage. After iPhone is turned on, its standby current is about 100mA, this case mostly was caused by USB control IC is damaged. The iPhone 6S battery voltage passes the charge IC and then output the main power supply VCC_MAIN. If provide power on iPhone but is shows leakage or large current, then we need to use Digital Multimeter to measure the diode data of BATT_VCC and VCC_MAIN! If there is a short circuit, we can apply some rosin on the iPhone motherboard component, use hot air gun to smoke it, and supply voltage on short circuit line, the voltage starting from 0 and gradually increasing, and then you can find the short circuit parts. In this part, we have to add voltage on short circuit place. The other iPhone power leakage situation is that when you provide power on it, it won't leak, but after you press the iPhone power button, the leakage or large current fault happens. This fault is because there is a leakage component on the circuit lines that was output by power supply IC. In this case, you need to measure the diode data of each circuit line to find the one that's leaking. If the leakage is large, you can use rosin methods to find the short circuit parts (the methods the same as above). In addition to the leakage of the situation caused iPhone no boot, there are other reasons cause iPhone won't boot. 1. No response when booting. Measure whether these is a VCC_MAIN, if not, replace the charge IC U2300, if VCC_MAIN is normal, and then replace the power IC U2000. 2. Stuck on White Apple logo when booting. Replace the USB control IC U4500 charge IC U2300. If the fault still exists after replacement, then it should be the CPU or NAND flash problem, you can re-install the iPhone NAND flash. 3. Stuck on Dozens of MA when booting. This fault mostly caused by CPU or iPhone NAND flash virtual welding or damaged. For water damaged iPhone, you can replace power IC/ audio IC/ compass IC/ USB control IC/ charge IC. 4. Reports different iTunes error. If it reports iTunes error 4005/ 4014/ 9/ 14/ 40, usually it is caused by iPhone Nand flash or iPhone CPU. Because the iPhone CPU is unable to weld, you can re-install it or replace the Nand flash, and then flash it again. If it reports iTunes error 1/47/48/50, usually it is baseband part problem; you can re-install iPhone baseband CPU and power IC. Moreover, damaged compass will cause iTunes error 4013, just replace the compass IC. If it reports iTunes error 56, mostly it's caused by NFC module virtual welding or damaged. If baseband power IC is virtual welding, you can re-install or replace it. We've seen so many examples that iPhone users unknowingly run out of iPhone cellular data and and continue to use it, the result is your carrier will send a message that about cost expenditure. It's not a pleasant thing to do. By the way, this case is not caused by iPhone hardware fault, it's just a result of the data flow from the various applications on your iphone. So we don't need to use phone repair tools to operate it, just by setting up the iPhone or paying attention to it can be solved. When WiFi conditions permit, you'd better connect iPhone to WIFI. When you connect to WiFi, your iPhone will not use data, even your iPhone 7 Plus cellular data is turned on, but your iPhone won't use data from your cellular plan. When you iPhone is connected to WiFi, you can use it to watch the video or download the update software randomly. If you didn't turn off the Apps you don't use, those Appls still keep loading in the background, which consumes cellular data. More serious is that those apps you have open in the background crashes, which can make your iPhone battery drain fast and possibly cause other apps to malfunction as well. Just Double-click the iPhone Home button to close the unused apps. Turn off your iPhone cellulare data when you are not using it. It prevents the background application from consuming energy and help you save cellulare data. Some Apps will consume a lot of cellular data on iPhone becuase it will auto loading video or pictures, such as Youtube, Facebook, Twitter or Instagram. Most Apps have their own settings to limit the use of data, if you want to strictly reduce the amount of data used on your iphone, you can set the Apps to play automatically on Wi-Fi connections only. Some Apps are something you don't use very often, but it also consumes iPhone cellular data, so you can disable those data hungry apps to reduce cellular data usage. Go to Settings->Cellular, click the switch next to the App on iPhone display screen you do not want to use data on it. What new features on iPhone 8 and iPhone 8 plus? There are new back glass designed for wireless charging and a more powerful A11 Bionic processor. While the screen size is 4.7″ and 5.5″ as previous 3 generations and still uses the same IPS LCD technology. And the Touch ID is integrated into the home button like all iPhone since the 5S. 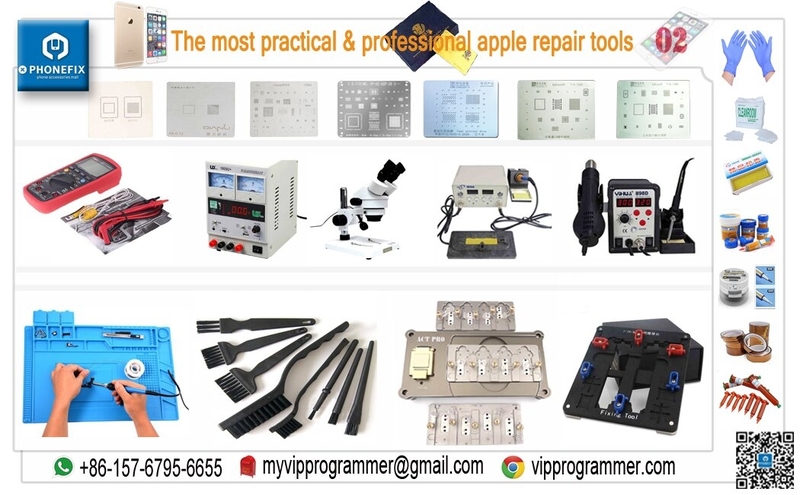 The are some possible failure we summarize in the article and the cell phone repair tools we suggest, hope it will help! All iPhone 8 and iPhone 8 Plus back glass may be the most popular repair, and it is easily broken, even over iPhone 8 and 8 Plus LCD repair. Samsung also adopts the same design. As for the back glass problem, it is not clear how Apple handles the problem. They posted iPhone 8 and 8 Plus repair prices on their website. The price listed may include the replacement of glass. Since iPhone 8 and 8 Plus use the same IPS LCD technology as the previous iPhone. So, replacing the screen may be less expensive. It is reported that the 8 and 8 Plus LCD screens are suitable for iPhone 7 and 7 Plus. When connected to iPhone 7/7 Plus, the liquid crystal displays a picture, but the touch does not work, because the digitizer' s Flex cable is different. The replacement of the iPhone 8 or iPhone 8 Plus Home button may damage its basic function as the previous model. If the iPhone home button is damaged when the handset is dropped or worse, it may mean you have to replace the entire screen. Moreover, some sources revealed that the "Horizon Machine", iPhone calibration equipment, is going to enter the authorized third party repair shop. If this is true, it means that the horizon machine will synchronize the new touch ID sensor and get the home button to fix it. What iPhone repair tools you need if you have to fix by yourself? The iPhone X has the most new functions, after it has been released, many people bought it and they has used it for a long time. In this article, we will share how to save iPhone X battery consumption and make it runs longer. As we know, the battery resistance of mobile phone is also an important criterion for the user to choose it. After disassemble the iPhone X by phone opening tools, you will found two batteries, but it doesn't mean you don't have to save battery power. How to save it? Please focus on following content. Push notifications may be an important reason why the iPhone X battery runs out fast. If you choose to receive push notifications from your application, the application will continue to run on the iPhone even if you do not have the application open. Some push notifications are something you don't need, and then you can close it. Manage push notifications; please go to Settings->Notifications. If Auto-Lock is not turned on, the iPhone battery power will be significantly faster because the iPhone display screen is always turned on. Auto-Lock is a setting that automatically locks the iPhone and puts it in sleep mode. To turn on Auto-Lock, please go to Settings ->Display & Brightness->Auto-Lock. Some applications, such as e-mail and social networks, run in the background even if they are not used to ensure that updated information and updates are visible when they are opened again. But this function is useful for you, so it is recommended that you disable the battery only if you know it is very short. To disable Auto-Sync, please go to Settings->General->Background App Refresh. Animated wallpapers look pleasing; especially the iPhone x dynamic wallpaper is gorgeous, but they also consume a lot of battery power. Please disable using them to save the battery. The Global positioning system is a huge drain on cell phone batteries, and more and more applications are using your location data to customize your experience, which greatly speeds up battery consumption. To turn off location service, please go to Settings->Privacy->Location Services. Keeping many applications in a background application refresh State may significantly deplete the iPhone battery life, because when you open a background application refresh for a particular application, the application has the right to download new information even if the application does not open on the iPhone. To turn off Background App Refresh, please go to Settings->General->Background App Refresh. If the iPhone X battery consumes fast, one simple thing to do every week is to restart at least once a week. This allows all programs that you run on the iPhone x to shut down and start again when you reopen. If your iPhone X battery is not working properly, and none of the above methods can solve it, and you can send it to Apple Care. Apple will fix it quickly by professional phone repair skills and phone repair tools. Moreover, because now iPhone X is under warranty, so you don't have to spend a lot of money. How To Deal With Nand Error Of iPhone 8 8P X? Many customers complain that smartphone often report NAND error, include the Apple iPhone 8 8P X, but we always have solution for it, even for latest iPhone X 8P 8. Today, we are going to share new arrival on iPhone repair tools, it's the iPhone Nand flash. With the help of JC PCIE Nand test fixture and iPhone Nand flash, we can fix Nand error issue on iPhone X 8P 8. Let's check the details. New iPhone 8 8P X 64G 256G Nand Flash memory, it's for repairing iPhone Nand error, replace old nand flash and upgrade the iPhone memory storage. It’s not brand new, it is used NAND, but working well. 1. from original iPhones or ipads, used, not brand new, 100% tested well for using. 3. 100% tested by our special JC PCIE NAND Test fixture, but not surely 100% for your using because of skills of soldering. 5. We just remove from iPhones or iPads, and test by our special Apple NAND Flash programming tool, not programmed the SN Code. JC PCIE-8 NAND Test Fixture is the iPhone 8 8P X NAND underlying data Programmer, it can change iPhone NAND underlying data (Serial Number SN / Model / Country / Color modification, repair iPhone 8 8P X NAND error, and expand iPhone 8 X NAND Memory Storage. It doesn't need boot NAND, engineering line and battery. It’s touch switch control, identification the nand direction. It also supports the functions updated and extended in future. We Received an iPhone 6 which problem is can't turn on. We disassemble it by JM-9102 Disassemble Tools, remove the iPhone motherboard and then measure it with Fluke 15B+ Digital Multimeter. When you press the boot button there is a large current of 500mA, it is leakage and then won't turn on. After seeing the ammeter, the first thing we think about is not the iPhone battery voltage leakage, nor the power supply of VCC. After pressing the power button to appear large current is caused by the power supply load in the leakage or short circuit. First we use a Temperature-sensing method to feel the iPhone where the temperature is higher. After checking, we preliminary judgment the temperature is obviously high near the fingerprint line. Now we're going to check exactly which part is wrong. Through the soldered Rosin method, we found that the 3D touch tube was obviously hot. This time we have an idea that this is not necessarily a problem with the power supply tube. When we first started repairing the 6 generation VCCMAIN short circuit issue, we found that the electronic switch hot obvious, at first we thought it was broken, but it is not. Anyway, remove the 3D-TOUCH power supply pipe first. After that, provide power to it to test, the iPhone 6S now can be turned on. The problem was found, but a 3D-TOUCH was not powered. At this point, we're looking for a voltage close to 2.75V near it. The closest to it and nearest 2.75V is the fingerprint 3.0V voltage. When we connect to the 3.0V voltage, the iPhone again shows a large current of 500mA. Now we have an idea, it's not the power supply pipe problem, but the load short circuit. Now, we need to use QUICK 861DW Hot Air Rework Station to solder rosin again. Finally, we found the culprit, which is a small capacitor. After remove the small capacitor by Precision Titanium Alloy Tweezers, now the iPhone can be turned on smoothly, and the 3D-TOUCH is back to normal. Summary: This phone repair case tells us the repair man a truth, the reason why the power supply IC or power supply tube is hot is not necessarily that it's broken; mostly it is caused by the leakage or short circuit of the rear load. We can understand it like this, our home switch is hot, and usually it is caused by our home appliances burned out after the leak. Sound fault is the most common in cell phone repairs, there are many chips control the sound function, so you need to be careful to avoid more malfunction during repairs. This iPhone 6 has ringtone sound when someone calls, but the speaker icon turns grey after connection. First, we use the simplest elimination method to diagnose where the fault comes from, removing the iPhone 6 charging flex cable to check the receiver; removing the earphone to test the speaker. After testing, there is still no voice. It can be judged that the chip is out of order. The iPhone 6 U0900 big audio damage directly caused the 3 voice failure, it's relatively simple to disassemble and assemble large audio chip, layer welding spot is large while the iPhone audio chip is big and thin, so it's necessary to avoid excessive force to crush the chip during solder reballing process. Replace U0900 chip, all sound tests OK.
U1601 small audio water damaged phone comes out of a lot of problems, leading to large current, and there will be an automatic phone speaker. If the reset signal given by the iPhone CPU is abnormal, we can scrape and weld a jumper wire from the bottom of the chassis A6 track. If the sound off and on, you can remove a small audio chip, when there is a temperature, measure the resistance value of the U1601 A6 track by digital multimeter. iPhone 6 will also have a headphone mode, which automatically enters the headset mode without the plug in the headset. The J1817 tail plug can be tested. If the block is normal, it will be solved by replacing the tail plug flex cable. If there is the absence of a single sound instead of 3, we can replace the new parts, detect the circuit or test the block value, then basically you can find the problem. Mobile phone has become the current trend of the times all over the world, since the day of invention, the mobile phone repair industry has begun to work. 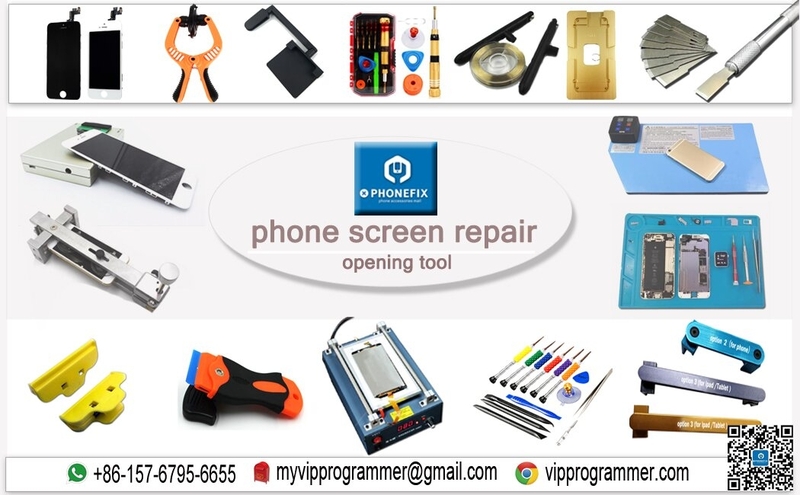 After many years of development, mobile phone fix tools are developing more convenient and advancing, and technical personnel have become experts and professionals. But no matter how excellent a person is, anyone can make a mistake. So, we list some common mistakes that technicians often make in daily practical mobile phone repairs. When some technicians disassemble a mobile phone, they are very careless and just go about placing the screws on the workbench. Now while fixing the phone, they misplace the screws and when they reassemble the handset they fall short of these screws. Some technicians just leave these slots empty, while some of them use other unmatching screws which is bound to damage the original threads in the slots. How to avoid this happening? The best way to overcome this common mistake is to keep all the screws and other small parts in a small tray. This way you will be ensured that you have replaced all the parts and screws back in place and you have by no means left out anything that has to be replaced. Using different trays for different models of opened handsets will also help you to dismantle many handsets simultaneously. It happens on most of mobile phone fix technicians. There can be several reasons for the delay. It could be due to delay in troubleshooting the fault. Sometimes the fault in the handset is hard to detect and it may take a very long time to rectify the fault. One other reason for the delay could be unavailability of spare parts. But delay due to mere laziness is a definite no-no. Repairing the phone and completing the job on time sends a strong message to the customers about how much particular as well as punctual you are. How to avoid this happening? Start by doing what' s necessary; then do what’s possible; and suddenly you are doing the impossible. 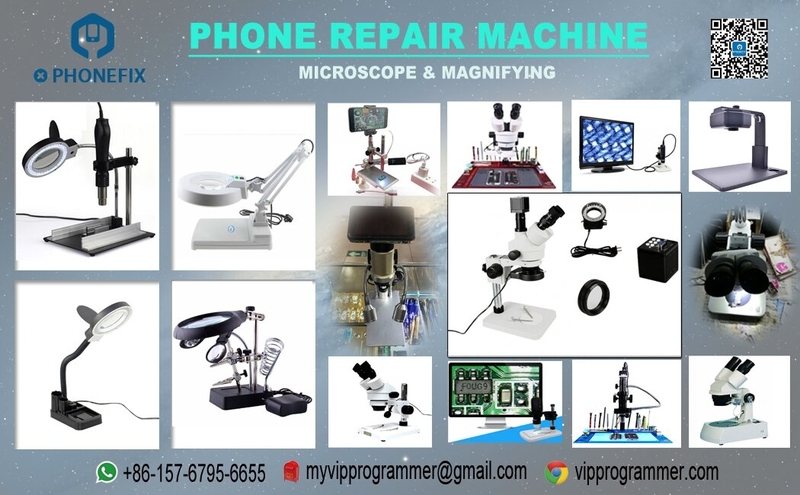 Especially for professional mobile phone fix technicians, it' s very necessary to get full set of phone repair tools like Phone BGA rework station, microscope, disassembly toolkit, etc. 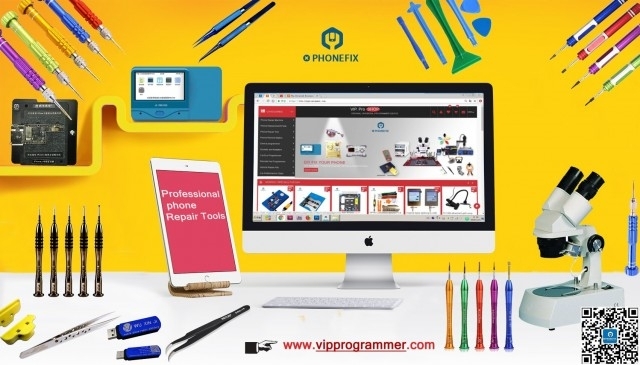 Using improper tools or lacking of some tools' assistance will make further damage on repairing cell phone devices, so it's better to find a good mobile phone fix tools service on the Internet or local market, this is the first step for making better profits. Most of mobile phone fix technicians do not want to take the pains of searching the internet for the solution because sometimes it does waste a lot of time. But remember that in today' s world, if you are not using internet for solutions to your problems, you are missing out on a great source of useful information. So it would be advisable that you lookup for solutions on the net and most of the time you are bound to be lucky to get the solutions for the trickiest of faults. You can also look for videos on Youtube. Many technicians do not ask the customer about the reason or cause for the fault in their phone when receiving cell phones. Instead if the customer is asked about the problem you can straight away know the exact problem and start working on it thus saving your precious time. Also make it a point to ask the customer about the history of the handset and whether he had already given it to someone else for repairs before for this same fault or some other fault. This way you will know if the handset was already opened before or not. Some technicians unnecessarily start working on the motherboard without any reason. They fiddle with the motherboard as well as the chips applying heat or just reflowing. For instance, no matter working on the iPhone 7 motherboard or any other cell phones, it should be the last step while fixing any hardware fault. Some technicians are very careless while repairing a handset. The job that they do is shoddy and also looks awful if watched closely. All procedures and techniques should be carried out in a professional manner. Soldering work done by many technicians is very amateurish. The solder flux applied all over should be cleaned up after the work is completed. It is utmost important that a professional technician does a clean job that gets a feeling whether it is factory fitted or if it is fixed at a service center. As the handset comes in for repairs, many technicians do not go step by step in fault finding. Instead they just go about by dismantling the phone and carrying out the hardware rectification. It is utmost important that repair work of an electronic gadget should go as per the professional repair methods. The basic safety rules for repairing should be followed so as not to damage the handset nor hurt oneself while carrying on the work. Although cell phone device is tested as 200mA electric leakage when booting, the first choice is to replace USB tube. But the iPhone 6 we are going to fix today is not caused by the USB tube fault. Connecting the iPhone 6 with multimeter, the current shows 200mA. we directly replace a USB tube. The result is that the current is still in the 200mA position after waiting for a few minutes. So we wonder if there is another fault symptom happened, the last repair technician mentioned the iPhone 6 fingerprint is not good. When heard of this problem, we can basically judge where the problem is. Connecting multimeter and trigger the on-off current with 300-400 mA, this is not normal. There must be something wrong with the fingerprint 3V. Use the multimeter to test fingerprint 3V against the ground value, it is short. This kind of situation is generally caused by one of outside capacitance is short, dismantling it! Finally, we find out the C2133 is short circuit, pry it off with phone IC repair knife, reboot the iPhone 6 and retest the standby value is normal, and the fingerprint is also normal now. The iPhone 6 schematic diagram IC postion is shown in picture 11-8-1. We must test the function of system as possible we can in advance if we encounter the leakage, which will be repaired if any of the functions are tested abnormal, if all is normal, USB tube will be required to pay more attention. USB tube is also a problem, if it gets bad, the function will be normal and no problem can not be detected. If there is a electric leakage on the iPhone, you can first press the iPhone power button and loose to see how much the current will be. In the normal case, it is about one hundred. If it jumps to three hundred or four hundred, there must be electric leakage, and jump to two hundred or three hundred leakage is basically caused by several 3V: The 3v power supply of USB tube, the 3V of fingerprint and the 3V of compass. Last Week We Received an Damaged iPhone 6 Plus, first we need to know the basic information about the device. According to the customer's description: 1. the iPhone touch function can not be used; 2. there is very important data in the iPhone so that we need to pay attention not to restore the device. 1. The failure is that the touch can not be used, we still follow the rule: easy operation first, first replace the iPhone screen, the touch is still no working. 2. After excluding the screen problem, we judge it's iPhone motherboard problem. 3. Remove the motherboard and connect to measure touch voltage, PP5V7_SAGE_AVDDH touch +5.7V is normal, PP5V7_SAGE_AVDDH touch the -5.7V voltage has no value. 4. The other points are found to be normal, power off to test whole circuit, we find circuit line is broken. 5. Soldering the broken line with jumper, conncet the 2 points in iPhone diagram with jumper wire. 6. Connect screen to measure the iPhone screen control IC U2402 (sub touch chip boost work). 7. Install to test, the iPhone 6 Plus touch can work in a normal way now, repair ends here! We met such a problem last week, a customer has sent us an iPhone 7 Plus to repair, the fault is that when the iPhone is turned on, it will stuck on white Apple logo and then automatically rebooted, and the iPhone is hot. After we receive the iPhone, connect it to DC power supply, the current is very large. Colleagues previously suspected that it was a CPU problem, so we're going to flash the iPhone and look at the specific error code; we found the top of the iPhone very hot. The iPhone repeatedly reboot, CPU part hot is normal, but the top of iPhone hot is abnormal. The top of iPhone 7 Plus is line and WIFI, so we are targeting the WiFi. Quickly remove the iPhone motherboard and touch the iPhone WIFI IC, it's really hot, now we can confirm that there's something wrong with WiFi, and this serious hot is mostly caused by a short circuit in the capacitor. We can replace the WIFI IC, but the WIFI IC is close to the CPU in the iPhone 7 series, and after replace the WIFI IC, we still need remove iPhone NAND flash to unlock WIFI, it is not only troublesome, but risky, so we chose an easy and risk-free method--scrape WIFI with S1018 CPU Remover. Because it was the first time we scraped the iPhone 7 WIFI, we don't know the specific location of those tiny components, so we put it under the Trinocular Stereo Microscope and scraped the entire WiFi module off. The marked position is short circuit. Just pull it off, and use the Fluke 15B+ Digital Multimeter to measure it, now the data shows more than 300, it is normal. Assemble the iPhone, there is no white Apple reboot phenomenon after booting, and WIFI also is normal. But, now the half iPhone LCD Display is dark and the other half is bright. Fortunately, this problem is easy to solve. Open the WUXINJI Schematic Diagram and check the iPhone, we found that this was caused by an damaged inductance FL3902. Just get rid of it, and then use QUICK 861DW rework station to weld the jump wire on it. Finally, everything is fine after the boot.